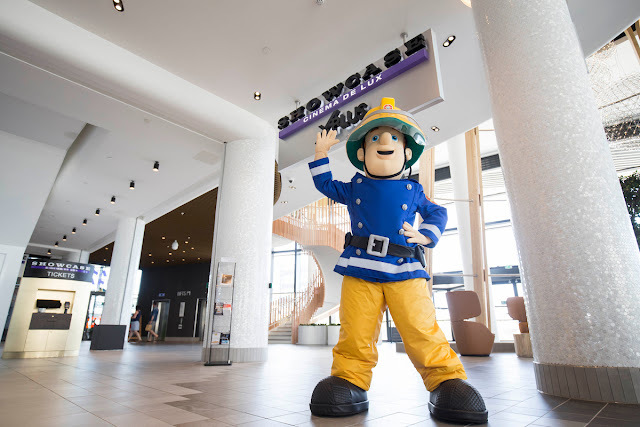 Fireman Sam is a British institution. 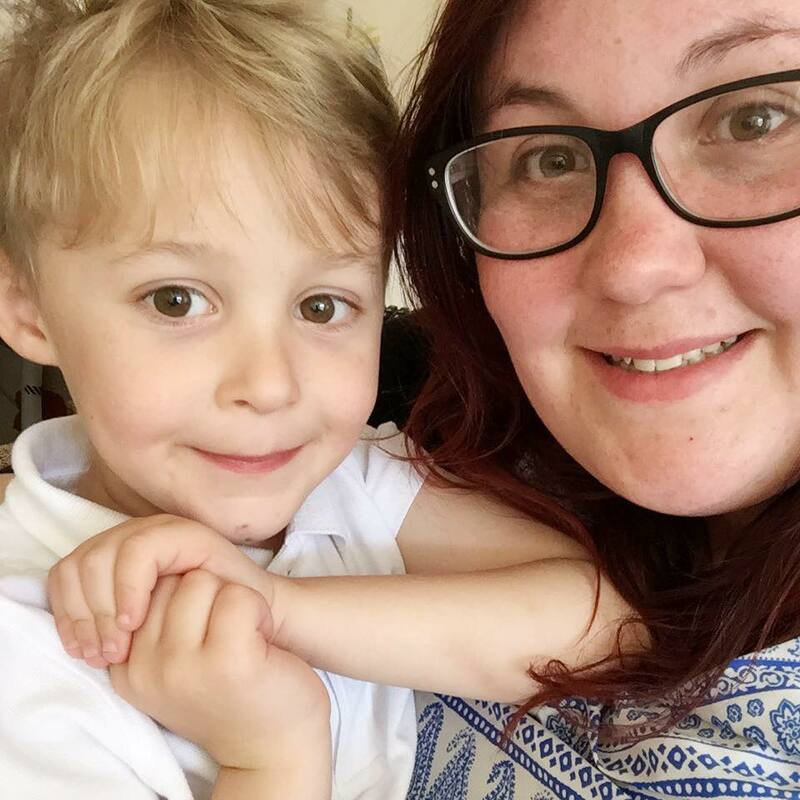 He's saved Pontypandy more times than I can count, and he's definitely the hero that all youngsters aspire to be, no matter the age. I might constantly query how high his council tax bill might be, but he is definitely a hero that I agree with. He's been a huge hit in our family for as long as I can remember, with us visiting him at Butlin's and watching countless episodes on loop. Sam and the rest of Pontypandy have recently taken to the big screen, this time in a one hour movie called Alien Alert. We were invited by Showcase Cinemas de Lux in Southampton to watch the film and meet the man himself. Showcase Cinemas de Lux in Southampton is based in Westquay south, the new food and entertainment arm of the Westquay shopping centre. 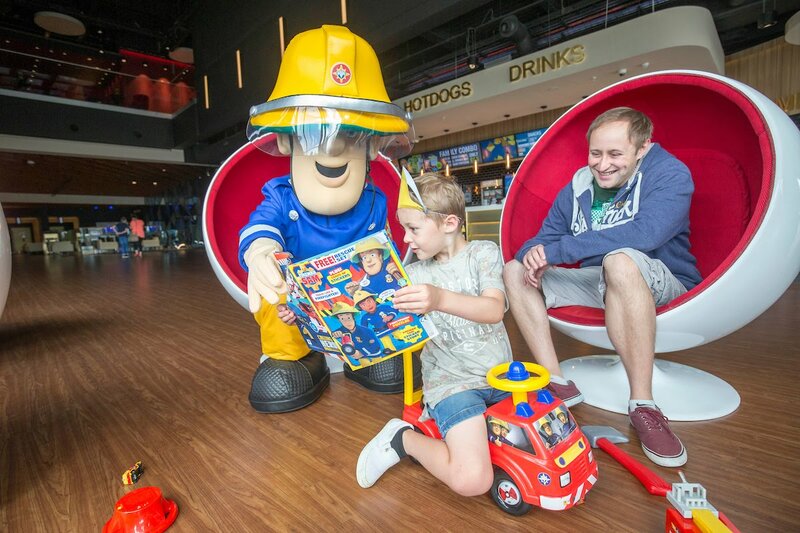 The cinema itself exudes luxury and you can tell that each visit is one to be enjoyed and remembered from the moment you go up the escalators to the moment you leave your seats when the credits roll. With 10 screens, laser projection, and even an X-Plus screen; you have a fantastic choice for watching your movie. It had a fantastic atmosphere and there was a great selection of affordable sweets and treats to have whilst you're at the cinema. Each seat in the cinema is a fully customisable recliner one that means you can watch your film in absolute luxury. Having been used to similar seats at our local cinema, it was nice to see that other places had the same seating style. I am definitely a seat snob now when it comes to watching a movie! None of us wanted to get up when the film had finished as we were far too comfy. The film itself follows the story of TV personality turned alien hunter Buck Douglas (David Tennant) arriving at Pontypandy to investigate some strange sightings and goings on. With Norman jumping to get involved and Fireman Sam sensing that something isn't quite right, we follow the village as they get caught up in all the action. I don't want to give too much away as it will spoil the film, but I can tell you that we all loved it and spent the morning laughing and cheering Sam on. It was definitely a film for the whole family and Max couldn't wait to get home and watch some episodes and act out his favourite parts. Alongside the movie, Max got a chance to meet the man himself. Let's just say that he was in his element. 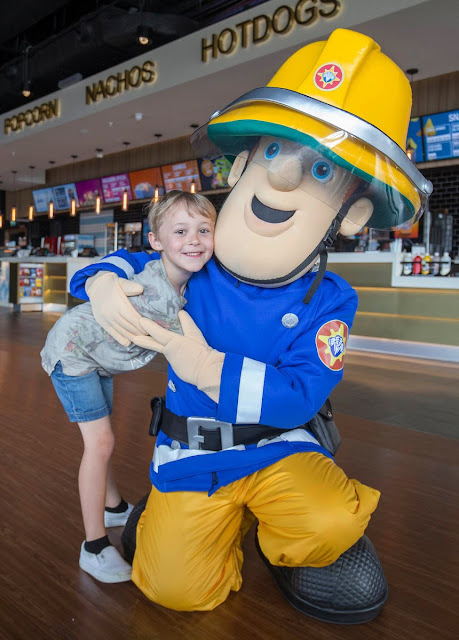 He absolutely loves meeting characters he knows and loves so he had an absolute blast playing with toys, reading Sam a magazine and posing for hundreds of photos with his favourite fireman. He honestly wanted Sam to come in and watch the film with us (but of course he has to star in it and save his voice and energy for saving lives). I think me and Scott were pretty won over by Sam too and even managed to squeeze into some photos. Thank you Showcase Cinemas de Lux for inviting us for a morning we won't be forgetting!